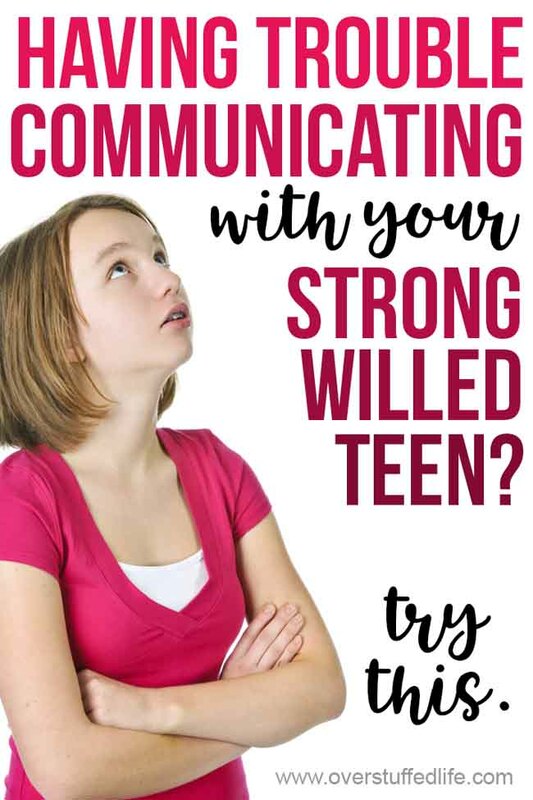 Don't know how to communicate with your strong-willed teen? Try this simple trick to get your teenager to talk to you! 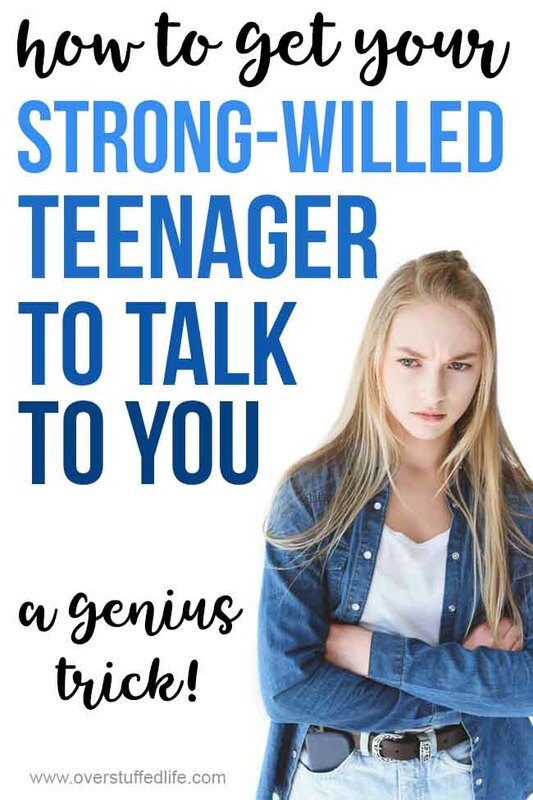 Trying to get a teenager to talk to you is already hard enough as it is, but add in a super strong will and communication becomes even more difficult. I have three daughters and they are all so different. My oldest two are quite easy to talk to—they voluntarily share with me, they don't get overly offended if I give advice that they don't love, and even if they aren't in the mood to talk I don't have to wait very long before they are. 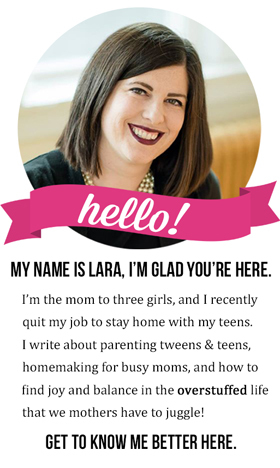 It's not that my youngest daughter doesn't want to talk to me—she does. It's just that when we talk it often ends up in a fight because she is so strong-willed and independent that if I say the slightest wrong thing or give her a suggestion that she doesn't like she gets mad. As soon as she gets mad, she starts pushing back and picking fights with me and it's all I can do to remain calm. In fact, she knows how to push my buttons so well that I usually don't remain calm. Once I lose my cool, communication effectively stops. There is nothing I can say to get through to her and even if I could find a way to say it, she wouldn't listen. 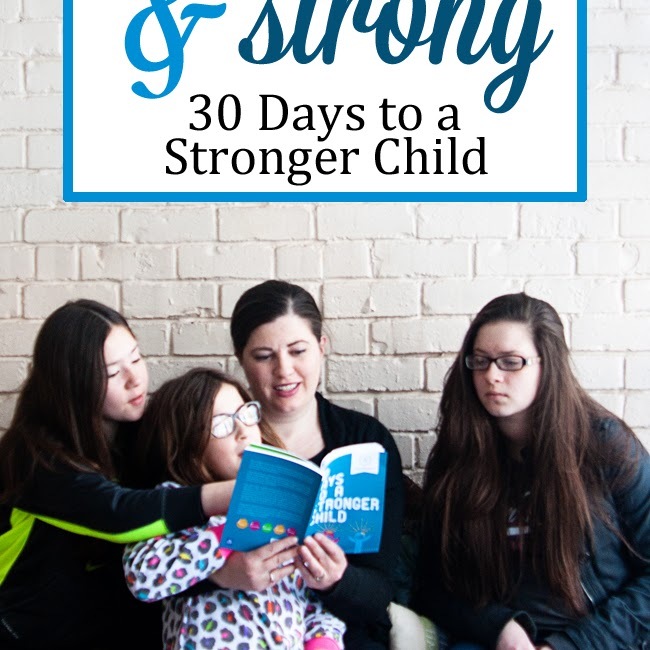 Trying to get through to a strong-willed tween or teen is downright exhausting! But I figured out a trick. It came out of desperation, but it really works. Last year, I took my middle and youngest daughters on a mini-vacation for spring break. Their oldest sister was out looking at college campuses and so I figured it would be fun for just the three of us to go have a little shopping trip together. 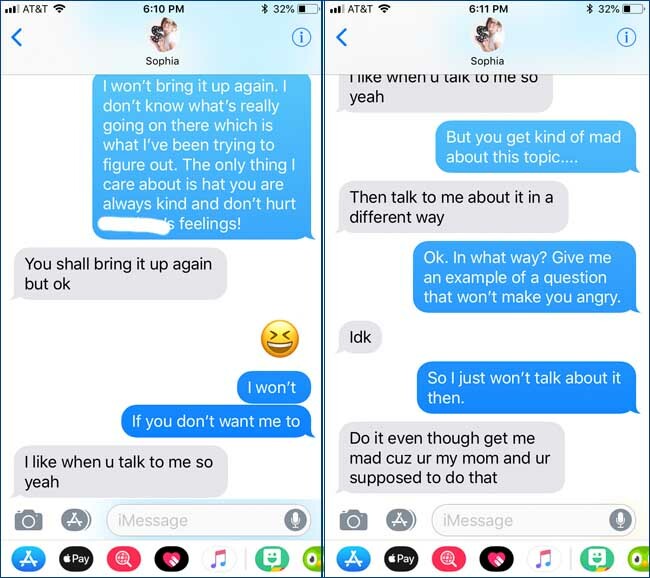 While we were there, a little bit of drama started happening between Sophia and one of her friends. She told me a little about it, and when I began to ask a few questions to gain a better understanding of the situation, she started to freak out. Then she freaked out even more when I had the audacity to give her some advice about how to handle it. This was not a new issue—it was one I had tried to discuss with her many times in the previous months. But every single time we talked about it, she blew up and I could never get her to really listen to what I was trying to tell her. I mean, I think I give pretty good advice sometimes, but when your kid won't even hear the advice it's kind of hard to shove it down their throats. I will never forget laying on the hotel bed while Sophia was laying on the other bed texting a friend. She was super angry at me and had completely shut down and wouldn't listen to a thing I had to say. I watched her fingers fly on her phone keyboard and I figured I'd just try to text her instead. "I won't bring it up again. I don't know what's really going on there, which is what I've been trying to figure out. The only thing I care about is that you are always kind and don't hurt ____'s feelings!" I was sure she'd just ignore it, but to my surprise, she answered almost immediately. It was snarky, but it was a start. "You shall bring it up again but ok."
I answered that I really wouldn't if she didn't want me to. And then she sent a text back that totally shocked me. "I like when u talk to me so yeah"
Wait, what? She likes when I talk to her? Really? I mean, she sure didn't act like she likes when I talk to her—especially about that particular subject! I wanted to make sure she really meant what she said, so I reminded her how mad she got when we talked about the issue. She suggested that I talk to her about it in a different way, then. I asked her for examples of how I could better ask her about the issue because I felt I'd exhausted every way I knew how to talk to her about it. I mean, I shouldn't have really expected examples from her, but it made me just a little bit mad that she couldn't give me one. So I said I would just leave her alone about it after all. "Do it even though u get me mad cuz ur my mom and ur supposed to do that." 1. Even though it often makes them mad, our strong-willed teens are listening to what we have to say, and they may even like the fact that we are trying to communicate with and help them. 2. Texting is a great way to have a serious conversation with your tween or teen that is too emotional to have in person. Since that night I have had many, many text conversations with Sophia. When she stomps off after we've had another argument, the first thing I do is grab my phone and continue the conversation over text. Sometimes she yells at me over text, but because she can read what I have to say without the emotion behind it, she always calms down quickly. And once she's calm, she listens. And she opens up. And we have a civil conversation in which I am able to figure out what it is that is troubling her and she finally listens to my (sometimes good) advice. While texting, I do my best to remember the things that a strong-willed child needs from a parent. 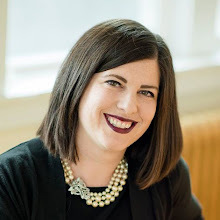 I give her lots of positive feedback especially, and I try to remember that her independence is way more important to her than it is to my other children. A year later, it's working really well for us. 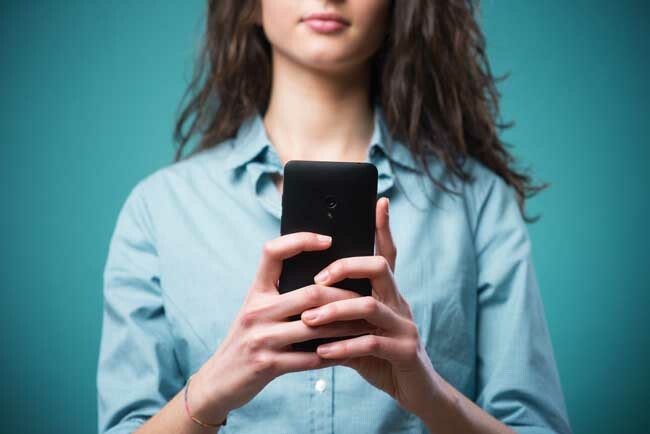 If you've got a strong-willed teen and you're having trouble getting through to them—try texting. You might be surprised!